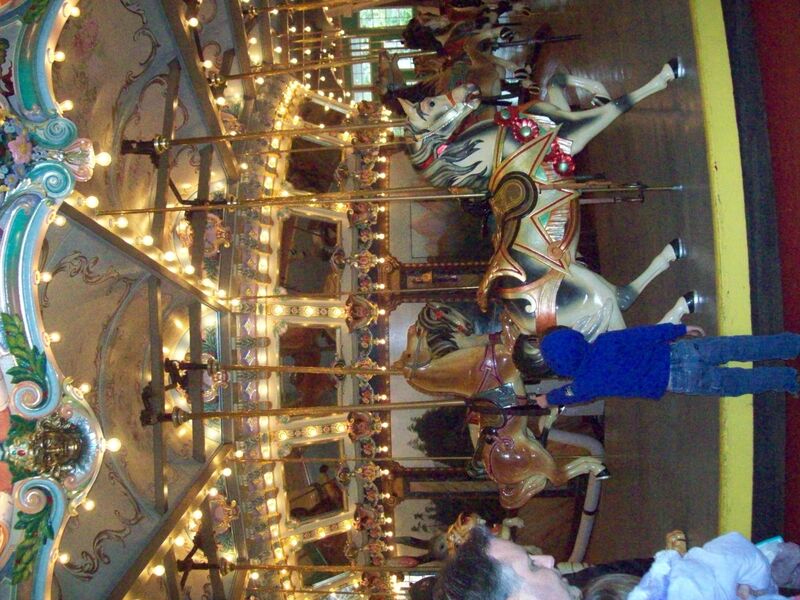 Children and adults took a step back in time as Glen Echo Park celebrated its 91st season. 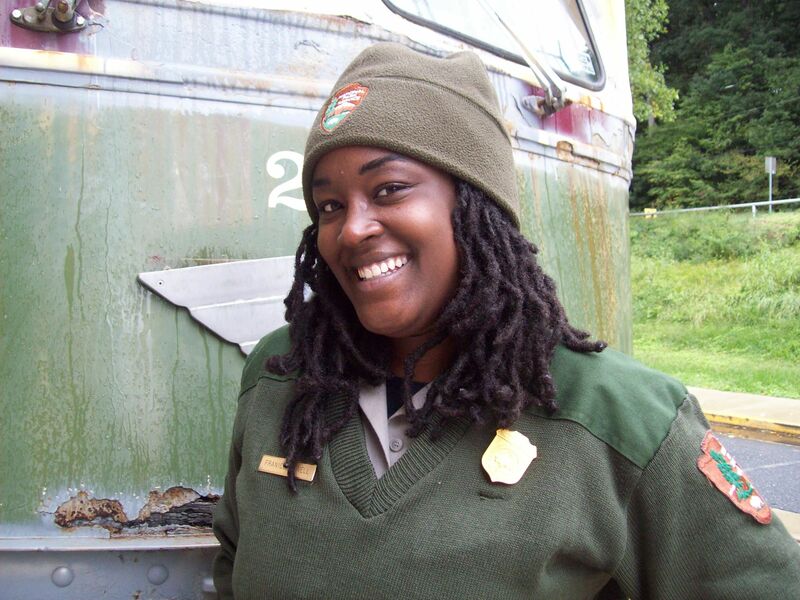 The“Then & Wow” festival explored the park’s past and present and featured roving performers, glass blowing and pottery stands, theater and puppet shows and lots of dancing. Park. 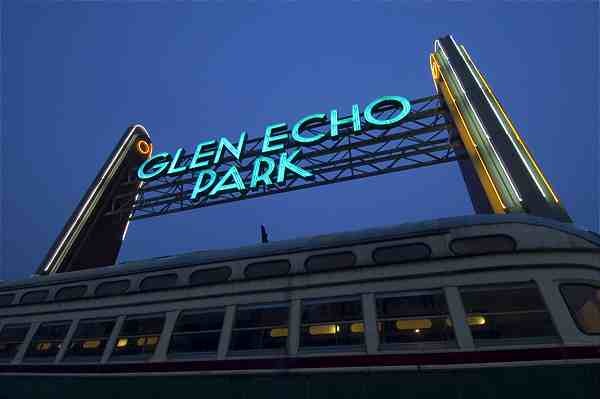 Glen Echo became an amusement park in the late 1890s. The park closed in the late 1960s during riots in D.C. and later reopened as an arts park that offers crafts, music, theater and dancing to adults and children. Massive renovations returned the outsides of park buildings to their original design — art deco. Inside the buildings there are no longer rides but something entirely different. For example, the park’s original arcade — that is, with real guns and bullets — is now a children’s theatre. The snack and popcorn building now exhibits art. Children’s laughter came from all directions during the day but mostly from the carousel. “The big animals don’t scare me. They are fun . . . “said six-year-old Debbie Schwartz. “Can I ride again?” she said, turning to her mother. Debbie did ride the carousel again with her big brother and many other children. Adults appeared to enjoyed the festival too. A band played waltz music in the former bumper car pavilion and about 70 people danced for three hours there. 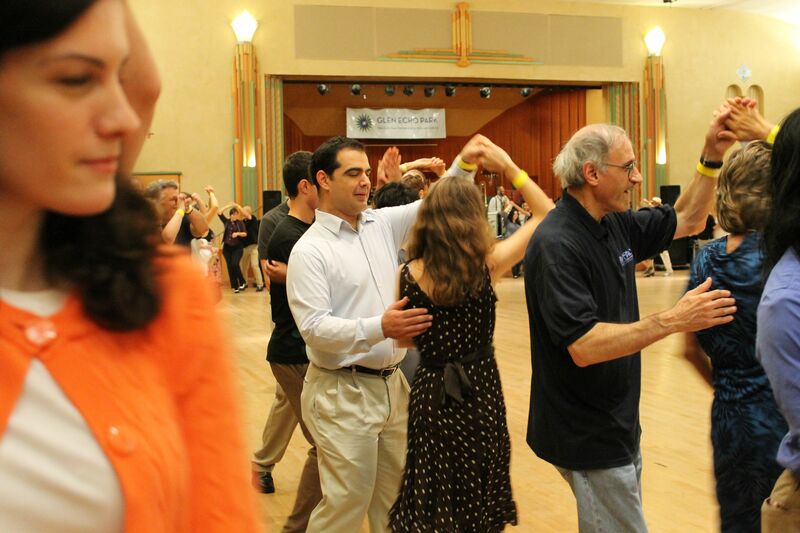 After waltzing, the park offered swing dancing in its Spanish Ballroom. 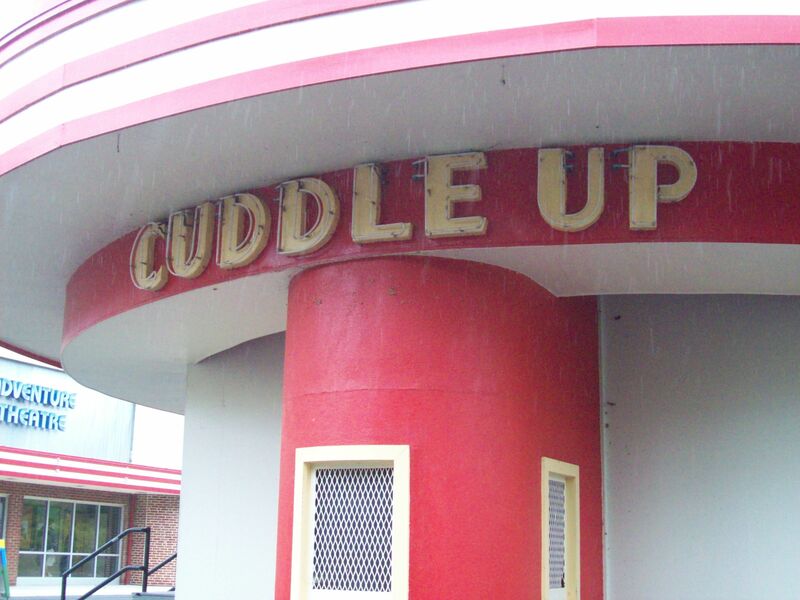 “That couple told me today that they had their first kiss here forty years ago and now they’re dancing the waltz,” Sewell said, pointing to the bumper car pavilion. The “Then & Wow” festival may be over but an exhibition with the same name continues through October. Also, there are many other events posted on its website calendar for children and adults. Glen Echo hosts some Halloween events throughout October. Two future dance events are the “Family Dance,” where families can square dance together, and “The D.C. Dance Challenge,” a one-day adult dance competition which promises to be lots of fun to watch.